I just ran across an old copy of the Philadelphia Daily News newspaper from August 31, 1992 in which the writer talks about some bands’ first appearances in Philadelphia. The article talks about the Rolling Stones, Bob Dylan, as well as Black Sabbath (Sabbath’s also was their first appearance in the US). 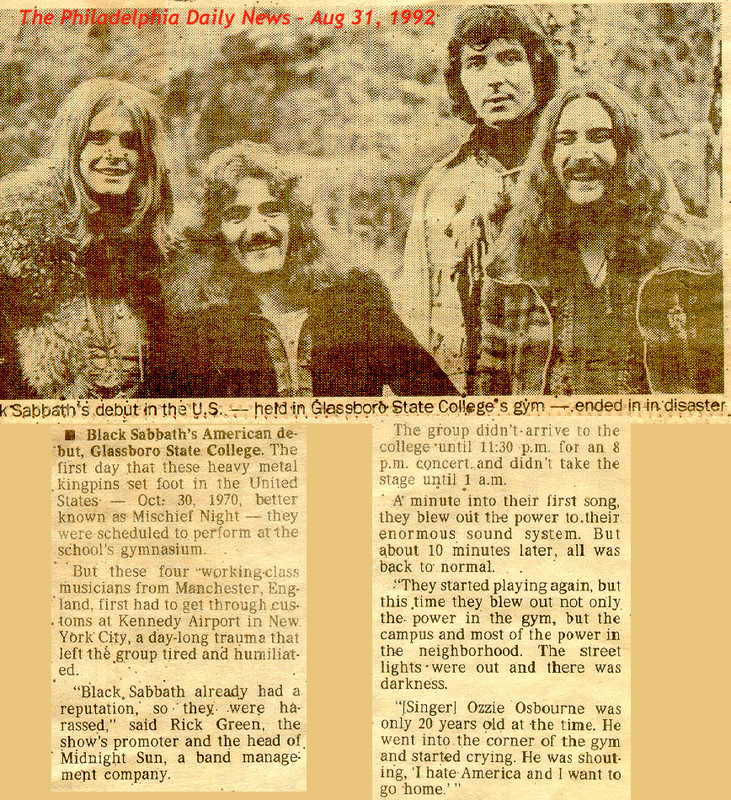 It’s a short article, but it refers to a quote of Ozzy saying “I hate America, and I want to go home”. Check out a scan of the article here.